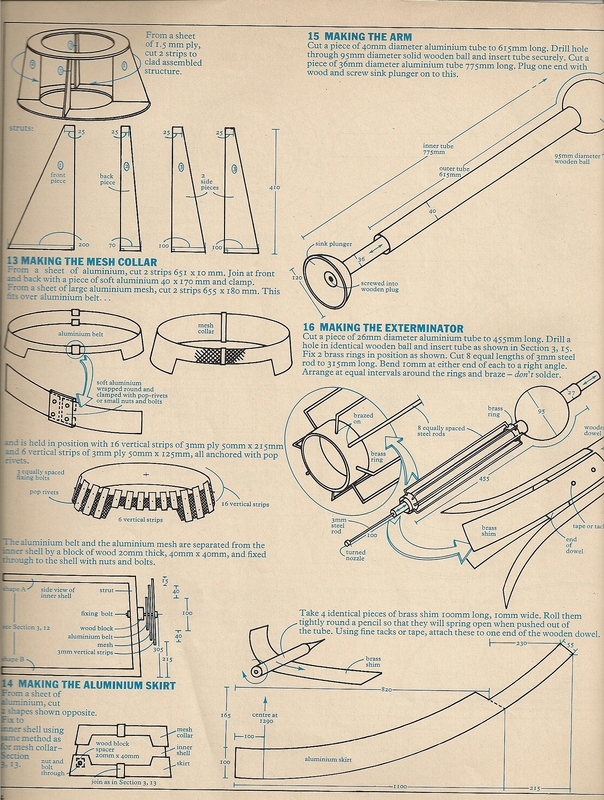 Today’s Daily Telegraph runs a story “DIY Dalek blueprints from 1970s published online”. They refer to correspondence republished by Shaun Usher that the BBC sent out to people asking for construction details. 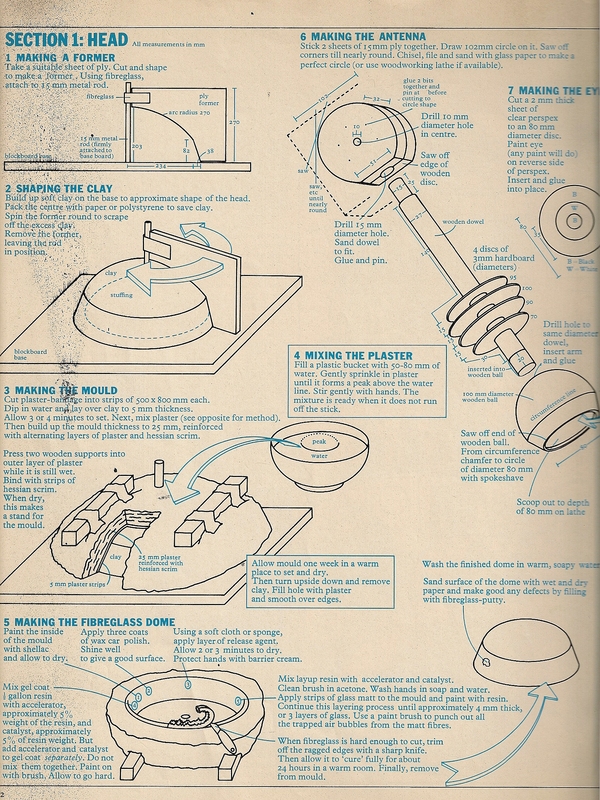 What the article doesn’t reveal is that the “blueprints” were reproduced from their original source using a revolutionary technique known as “photocopying”. 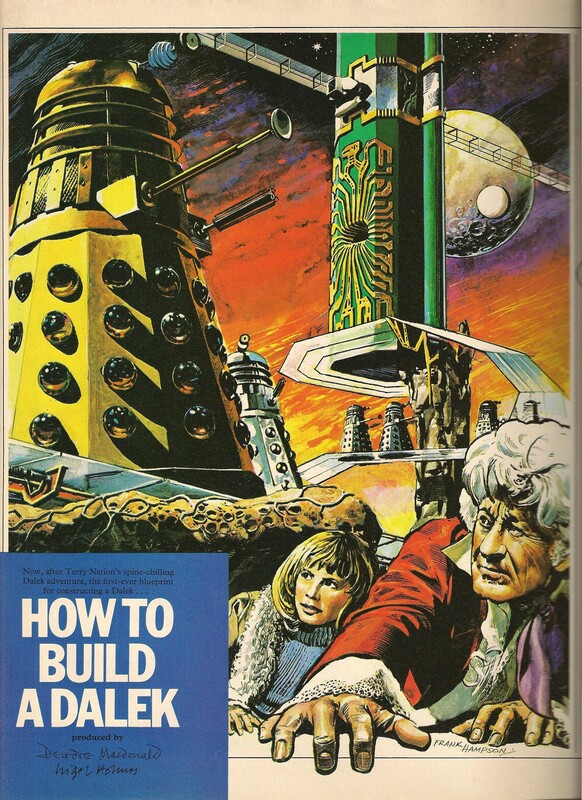 The construction instructions came from a Radio Times Special published in 1973 to commemorate that year’s tenth anniversary of Doctor Who. The production office simply made a copy of those and posted them out to people who asked. But no need to rely on the Telegraph’s heavily abridged instructions. 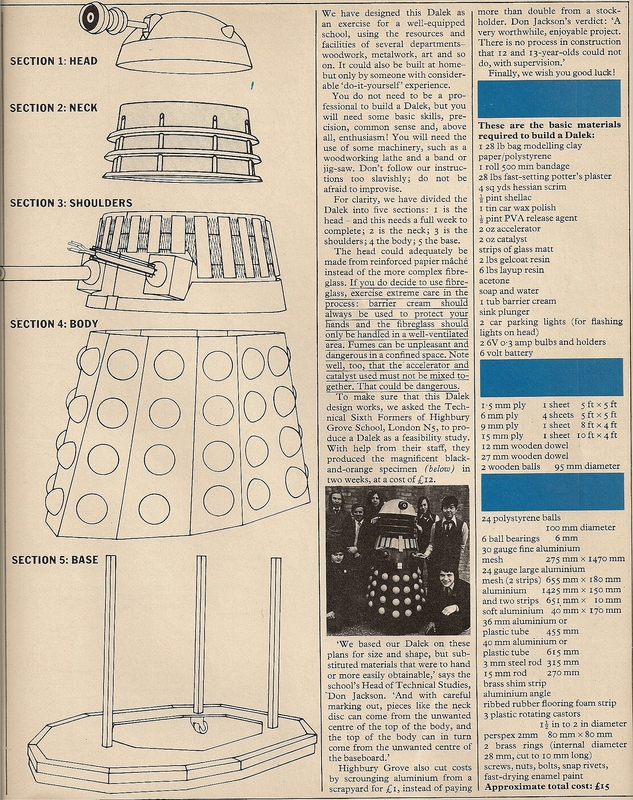 Here are scans of the original article from my own copy of that 1973 Radio Times Special. 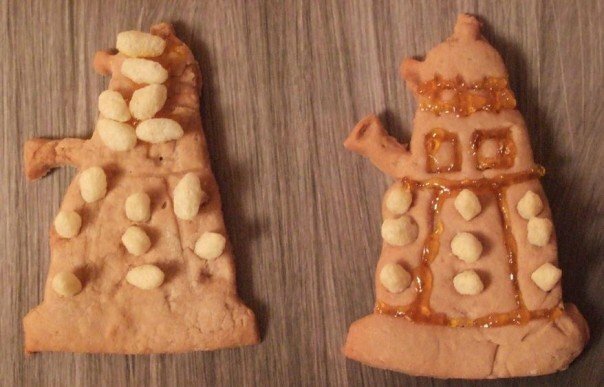 I’m a bit of a Dalek designer myself, as these splendid examples clearly demonstrate. Well, if I’m honest, I had a bit of help from my son. 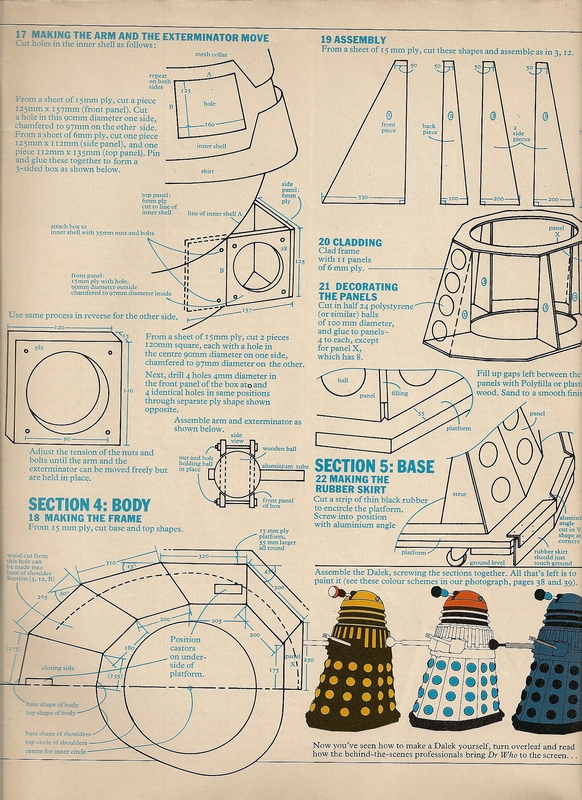 However, any serious Dalek designer should not miss the opportunity to look at Project Dalek, which describes itself as “an online information resource aimed at anyone interested in building a Dalek”. 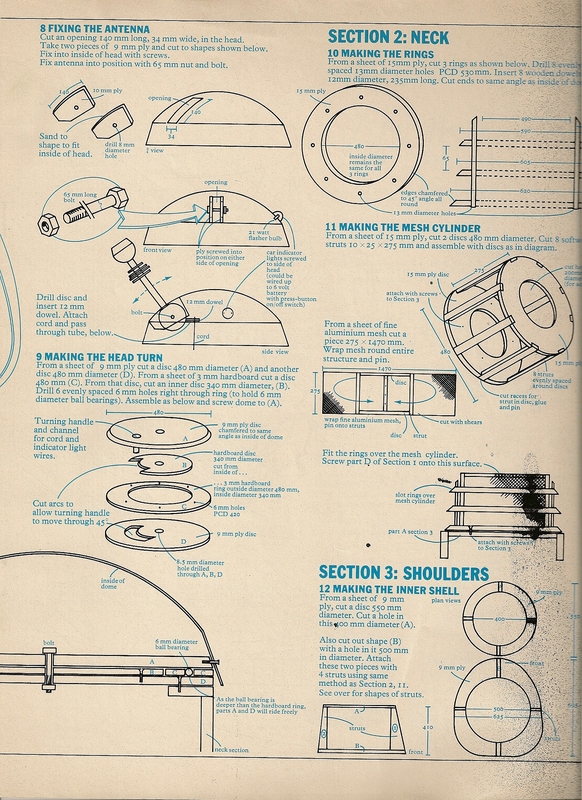 It contains showcases, plans, and references that would make Davros weep. And speaking of Davros, has anyone else noticed the worrying similarity between Johnny Morris (no, not that one, the other one) and Davros?